A Look At The Nastiest And Cleanest U.S. Beaches : Shots - Health News The Natural Resources Defense Council released its annual beach report card, detailing the levels of bacteria measured at beaches across the nation. Several beaches on the East Coast get gold stars. 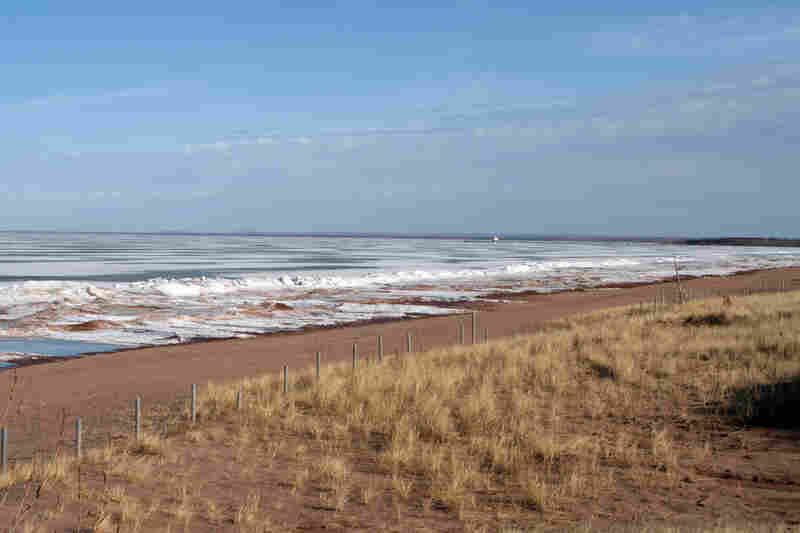 The Natural Resources Defense Council has collected data from beaches across the country. Here's a look at the some of the winners. 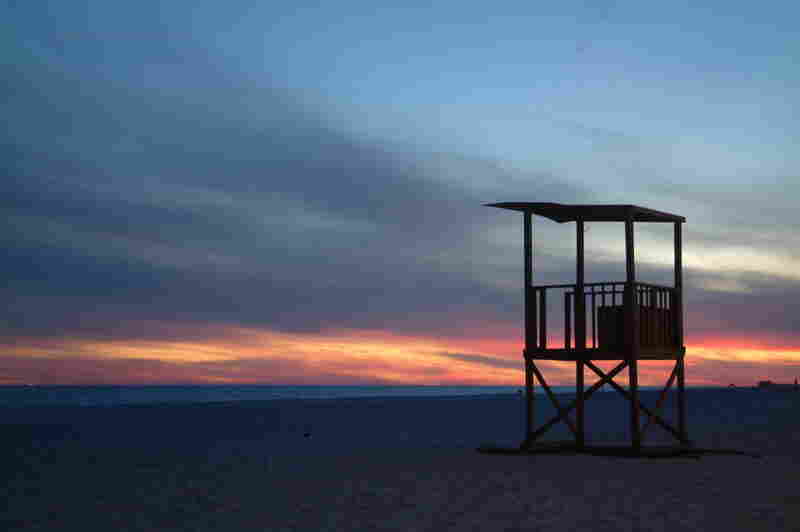 Summertime swimmers at Bolsa Chica Beach in Huntington Beach, Calif.
A lone lifeguard tower is caught in the final light across the sands at Gulf Shores Public Beach in Alabama. A calm beach view at Park Point Beach in Duluth, Minn.
Lazy day summer beach goers relax on the sands of Rehoboth Beach in Delaware. From California to the Great Lakes, persistent water pollution shows that no beach is an island when it comes to public health threats like hepatitis, dysentery and stomach flu. The Natural Resources Defense Council released its annual beach report card Wednesday detailing the levels of bacteria hanging around beaches across the nation. East Coast, stand up. These gold stars go to you. 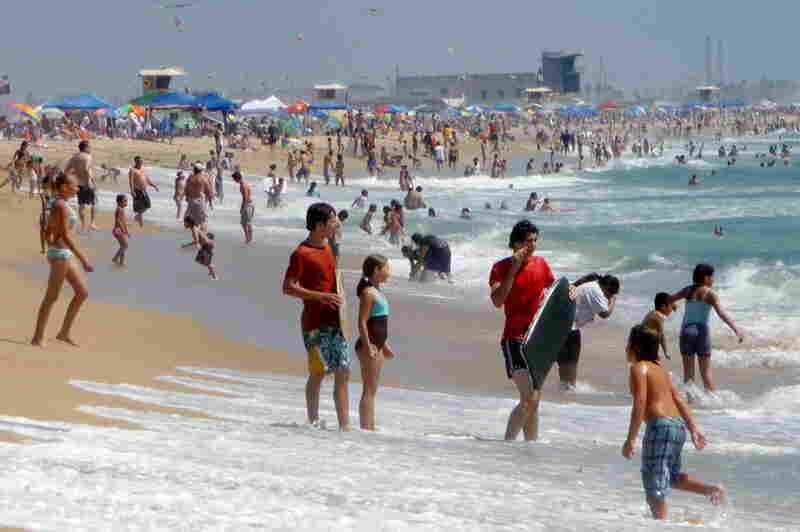 The report says beaches dotting shores in Delaware, New Hampshire and North Carolina had laudably low bacterial levels last year. The NRDC categorizes water pollution levels two ways. By overall pollution in each state and by individual beach. 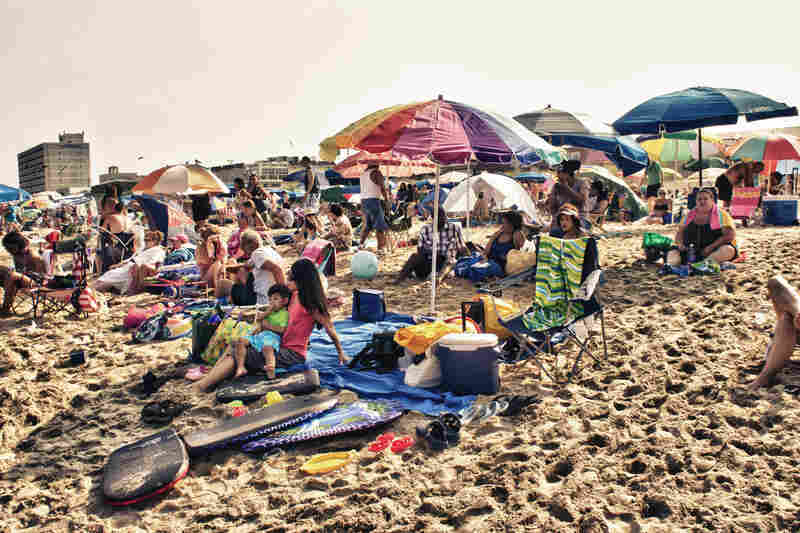 Here, according to the NRDC, are the good, the bad and the ugly when it comes to U.S. beaches. Topping the list of repeat bacterial offenders list is Avalon Beach in Los Angeles. It has consistently ranked as one of the least suitable places to go for a good, clean swim. Away from the ocean coasts, there are problems, too. In the NRDC's statewide analysis, over 500 samples collected in Ohio flunked national health standards. Other poor performers included Wisconsin and Minnesota. Steve Fleischli, the NRDC's water program director, helped develop this year's study and says that these just how the bacterial levels steal sunshine every year has a lot to do with what's going on under city streets. Many cities still use combined waste and storm runoff treatment plants and sewer lines built decades ago. During heavy rains, they often overflow, and the contaminated water's final destination could be a nearby beach. "It's urban slobber flowing untreated into our waterways," said Fleischli in a media briefing conference Wednesday. "There's no ominous theme song to warn beach goers." Swimmers can't see the bacteria contaminating beach water the way they might spy the dorsal fin of a great white shark. But that doesn't mean beachgoers aren't risking it in the water. "We think of rain water as having only leaves and twigs," said Fleischli. "The reality, though, is much different." Trash, chemicals, bacteria and viruses ride along, too. The NRDC's senior water attorney Jon Devine tells Shots that there should be changes at the federal level. "The [Environmental Protection Agency] should reform national requirements," says Devine. "The agency has a once-in-a-generation opportunity to propose a strong stormwater rule, and must do so promptly." Some lawmakers, like Illinois Republican Sen. Mark Kirk have been pushing for better water infrastructure for a while now. Kirk blamed Milwaukee's "cheesehead sewer water" from combined sewage and water treatment plants for dozens of closed beach days in Chicago back in 2004. That claim was later debunked by the EPA. "Milwaukee does push sewage out into the lake during storms, but so does the Windy City," says the NRDC's Jon Devine. Kirk's not all talk. His Great Lakes Water Protection Act has been floating around Congress, and last spring he again brought the issue to the floor. His bill would end sewage dumping in the Great Lakes by 2033 and increase fines for violators to as much as $100,000 a day. A day at the beach may not be so simple these days. Still, the NRDC says don't stress too much. There are a few things you can do to prevent a weird skin rash or gastrointestinal discomfort. Check online for beach closings and avoid the beach after heavy rains.